I recently saw the documentary film about WikiLeaks We Steal Secrets and it is a troubling movie. WikiLeaks burst into the news suddenly in 2006 during a banking crisis in Iceland. In 2010 the organization made public large quantities of U.S. government videos and documents, some of them classified as secret and others not classified but also not released to the public. Sections of the documents were published in the New York Times and the Guardian in the UK causing consternation and condemnation in many government offices. Now, almost as quickly as it came, it seems to have disappeared. Julian Assange, the founder of WikiLeaks, is central to the film as is Bradley Manning, the American soldier who sent many of the documents to the WikiLeaks group. Neither of the two men was interviewed for the film: Assange because he refused, and Manning because, as everyone knows, he has been in prison since his arrest in Iraq 2010. Most of the information we learn from the film comes from earlier interviews with Assange, from interviews with his former colleagues, journalists, and government officials. 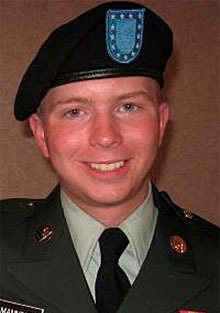 Information about Manning’s motives for releasing the files comes mainly from text messages he exchanged with the man who eventually reported his activities. After seeing the movie, we leave the theater with more questions than answers. Both Assange and Manning seem to believe that there should be no secrets from the public. What are we to make of their actions? Certainly our government keeps too many secrets. Many of the so-called secrets seem to be nothing but cover-ups for mistakes or for unjustifiable actions. Surely it’s better for citizens to know what our armed forces are doing in our names. When we see civilians and journalists killed in Iraq, prisoners tortured, and soldiers acting like bullies, we have a right to demand that the government put a stop to it. But Assange seems to believe there should be no secrets in government. Is that ever possible? Is it right to reveal to other countries what our plans for future engagements are or who is working with us? Even those of us who sympathize with Assange and Manning in their attempt to make the public aware of what is going on must wonder—Are they going too far? Incongruous as it may seem, the film reminded me of my feelings about one of the most famous intellectuals of an earlier generation—Simone Weil. During the 1950s and 1960s when her books were published posthumously in the United States, she was an influential figure much discussed on college campuses. She was a French philosopher, born in Paris in 1909 to well-to-do, educated parents who were secular Jews. Her childhood was shadowed by her father’s being called to serve in World War I, but on the whole she had a happy childhood. She was a delicate child who suffered from migraines, but her illnesses did not prevent her from becoming a teacher of philosophy. Weil was interested in many religions, including Hinduism, but she was drawn especially to the Catholic Church. She was introduced to several priests and began studying the writings of Christian mystics. Politically she allied herself with the Left and supported striking workers, became a communist, and worked as a laborer for a while despite her frailty and poor health. In 1936 she went to Spain to fight for the Republican cause, but her attempts to become a soldier failed. She joined an anarchist group, but was so bad at handling a gun and shooting that none of her colleagues would take her out on missions with them. Finally she had to give up and return home to France. Even the beginning of World War II did not deflect her from her concentration on understanding the lives of the poor and the secrets of spirituality. In 1941, she stayed for a while on a farm belonging to the philosopher Gustave Thibon and his wife, both of whom admired her work. Thibon wrote that Weil found the farm “too comfortable…[and] decided to live in an old, half-ruined farm belonging to my wife’s parents.” She ate the least amount of food that she could and “Every month she sent half her ration coupons to the political prisoners.” Meanwhile she continued to write about spirituality. There are two ways of renouncing material possessions, she wrote. One way is to give them up with a view to some spiritual advantage. The other way was “To conceive of them and feel them as conducive to spiritual well-being (for example: hunger, fatigue, and humiliation cloud the mind and hinder meditation) and yet to renounce them.” But to what end? For more than half a century admirers of Simone Weil have tried to reconcile the wisdom of her writings with the troubling example of her life choices. During World War II, when she was in her early thirties, Weil was able to get to London and work for the Free French forces there. She despised war and wrote “We must strive to substitute more and more in this world effective non-violence for violence.” But she emphasized the point that non-violence “is no good unless it is effective”. Many people have recognized the wisdom she displays in her writings. But what of her life? While working in London in, Weil insisted on eating no more food than what she thought people in occupied France were able to eat. Her health suffered so severely that she finally was sent to a sanatorium where she died in 1943. According to the coroner’s report “the deceased did kill and slay herself by refusing to eat whilst the balance of her mind was disturbed.” She was 34 years old. In the years since her death, many of us have wondered what work she would have done had she permitted herself to live out a normal lifespan. Would she have clarified her thought and perhaps been able to discover a way to spiritual fulfillment while at the same time living a human life? Would her insights have helped the workers and the poor she cared for so deeply to lead more tolerable lives? Instead her works are locked away, for the most part, on library shelves, not even taught in universities very much. Is she an example of a person who went too far? People like Julian Assange, Bradley Manning, and Simone Weil—though very different from one another—are all people who make us question our values and the lengths we should go to maintain them. At the very least we owe them attention. I strongly recommend that you see the documentary We Steal Secrets, and a new one which is promised for next year. And if you haven’t read them, there are many books by and about Simone Weil available in libraries for you to read and ponder.